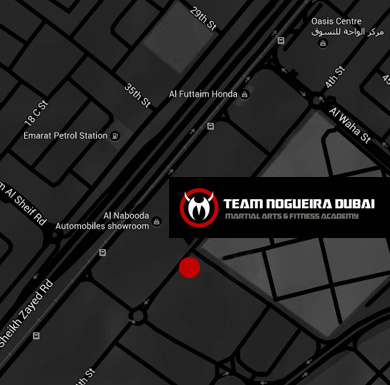 Team Nogueira Dubai first opened its doors in 2013. Our gym is now the leading martial arts and fitness centre in the region, and that success is built upon the combined hard work, passion and commitment of our entire team. The quality of our coaches is second to none: it’s not for nothing that we state TND is where the best in the world come to train, and this ethos is reflected in each and every one of our staff. Delivering: on time, every time! If you’d like to be a part of the TND family, please get in touch. With great development opportunities, team benefits and a working environment that will put a smile on your face every day – we can assure you of an experience like no other. Team Nogueira Dubai has come a long way in the last few years and we’ve got big plans for the future. To get us there, we need a committed team who understand all of our members’ needs. We will give you all the support and training you need in order to take your career to the next level. Then we’ll step back and give you the freedom to do what you do best. And don’t just take our word for it – hear it from the team. If you think you have what it takes to be part of our family, we’d love to hear from you. Please send your CV with a covering letter to careers@teamnogueiradubai.com.